Let’s be clear at the outset – Marketing Matters and Everything is Marketing. Whether you love to market or hate it completely, if you want to start, grow or expand your business and/or practice, you will need to market, and market well! It’s amazing, then, that in our profession (the practice of law), there is very little marketing training involved. While we may be experts in our practice areas, if we don’t know how to effectively assist potential clients in their discovery of our expertise in their area of need, we will be without clients, feeling frustrated and unfulfilled. That is not why we became lawyers. Instead, we became lawyers so that we can help clients (lots of them) resolve their issues, accomplish their goals and avoid problems. In order to do so we must first secure those clients. This requires honest, intentional and strategic activity, through multiple avenues, that helps clients discover their need for your services. This is marketing! Through the Marketing Mindset Training modules discussed below you will learn the mindset, activity, and tools that when fully embraced, will aid you in your efforts to build a thriving practice and business by securing a reliable stream of preferred clients. Each module is designed to challenge your marketing mindset, help you fine-tune your marketing activity and elicit the tools and resources that give you the best chances of success. It’s been said that “Luck is when preparation meets opportunity.” This training is designed to prepare you for opportunities while also teaching you to create more opportunities of your own. It’s a win-win! So, what are you waiting for? Review the modules below and contact us to let us know which set of modules would best fit the needs of your group or organization. We look forward to working with you! ***It is strongly recommended that all/any other courses be combined with this course. In this course, Terrence provides a broad overview of the approach, activity, and general resources involved in creating and maintaining an effective marketing plan. (3) Effective Action Steps (supportive goals, additional resources). From a broad perspective, this course covers it all! In Marketing Matters – The Overview, you learned the importance of identifying your preferred target market and creating a ValuAble Statement. If you have not clearly identified your target market members you will likely market in the wrong way to the wrong people. Similarly, it is crucial to create a clear and impactful way of communicating your expertise. You may now wonder how to identify your true Market Members, and how to create the right ValuAble Statement. Such is the purpose of this workshop. We will work together to help each participant identify their ideal Target Market and an effective ValuAble Statement. This information will fuel the basis of every other marketing effort. It’s the real starting point of any marketing plan! Workshops can be your number one source of business. When approached correctly, with intentional and strategic effort, workshops will fully inform participants and establish your credibility (a necessary component of securing potential client trust), thus generating profitable business for you and your firm. During this session Terrence will take you through the mindset of his highly sought after workshop, “Will or Trust: What do I need?” showing you the secrets behind its success. You will learn how to keep participants engaged, how to motivate them to action, plus more. Terrence will also reveal the secret to ensuring business from any workshop or presentation. Terrence believes that no single marketing effort is more reliable than conducting a workshop. His goal is to show you why and how! You have helped potential clients discover their interest in meeting with you and they are ready. Now what? How do you position yourself, and your new client, for a successful meeting? How will you approach the meeting so that the potential client hires you on the spot? In this session Terrence will help you discover answers to these questions. Using a typical client family and asset profile, Terrence will teach you how to posture the meeting so that clients feel comfortable sharing personal information. You will also discover how to anticipate client personal and legal needs in a way that highlights your value, causing your potential client to demand your services. This is where the rubber meets the road. 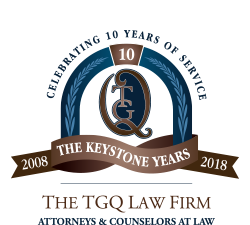 Previous & Upcoming Events with Terrence Quinn, Esq. WILL OR TRUST: WHAT DO I NEED?? WILLS, TRUSTS AND MEDICAID: WHAT SHOULD I DO?